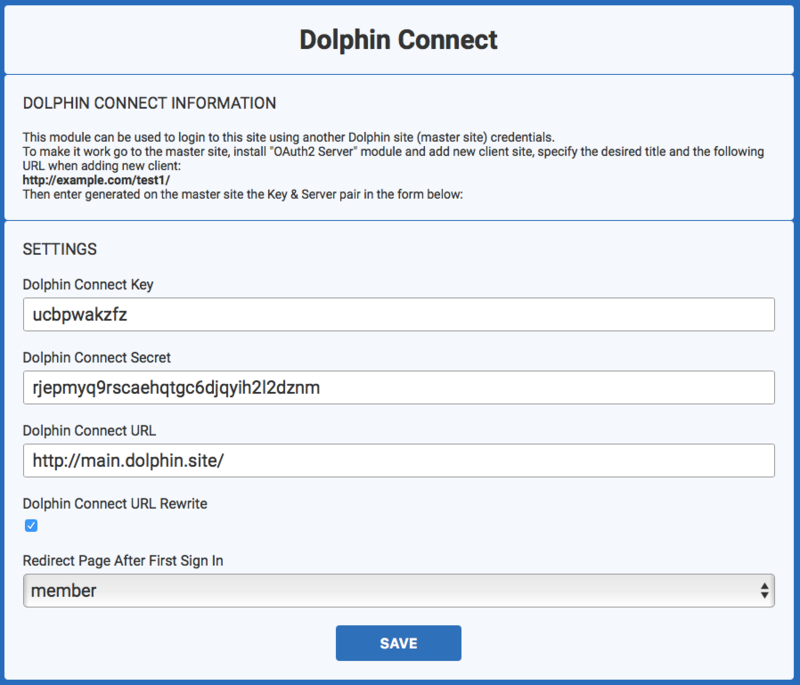 Introducing Dolphin Connect - OAuth2 SSO for your own network of sites! Andrew Boon posted 13th of December 2015 in Dolphin.pro News. 16 comments. Sometimes one social network is not enough. Say, you already have a site for yoga teachers of Canada and plan to open another one for Australia. Then, maybe UK, SA, Russia, China and US. 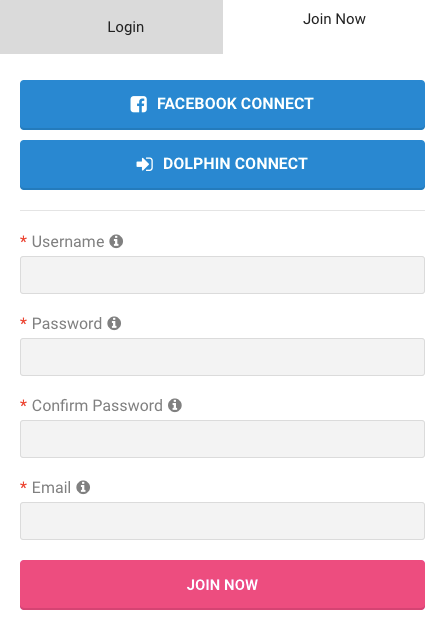 You can launch new sites quickly with DolphinPro, sure, but now you can also create something like "Yoga Teachers Connect" - a centralised sign-on server that yoga teachers can use to create an account on main site and then login to all your sites without re-typing their credentials. Sort of like your own "Facebook Connect" - just for your niche network of sites! This would also come handy for countries where popular identity servers are not... popular, or for networks that want to be completely independent and secure (like large company intranets with many divisions). The new module will be available for free with DolphinPro 7.3 and we will configure the server for interested Boonex hosting subscribers (Advanced+, Premium+ and Business+) and as part of support service. Stay tuned! Yeah, This feature was missing. Them mods tho need be upgraded to that 7.3 fo free, ya herd me baby? Them dollas ain't no Santa Claus, fo Sho! Just make it 7.2.3 or something and incorporate the features from 7.3 into it. I need some more time to settle into 7.2. Buying new mods is not what I want to do, and plus, the developers just finished updating their mods to 7.2, also don't forget about that HTML5 chat that you told us about, so the chat will work on mobile devices. Do it for the webcams, video comments, etc., so the entire site works on mobile. It's more than a service version update, since we're adding a few significant features. The new things will not _change_ Dolphin much, so I would expect 99% of the Market extension compatible with 7.2 to work with 7.3 just fine. That's 1% insecurity factor too much. All the 3rd-party modules should be compatible with 7.3, which are already compatible with 7.2. There is no compatibility breaking changes, even templates. As per announcement we've made earlier - https://www.boonex.com/n/must-read-big-changes-coming-in-september, it will be update every half year, so we'll make more often updates and include less features - all we can make for the available time. Since it looks like we can make 7.3 a bit earlier, then we can spent a but more time for 7.4 and see more include more features into it. Just what we need. Thank you very much. Perfect! Thank you Boonex team! Oh, yeah... OAuth2 is the most popular SSO solution, so you can potentially "plug" into all sorts of sites, services, intranets, etc. We are very excited about the potential and upcoming associated products. Wow, the Boonex team has not been sleeping. Hats off to you guys. Why not have YogaTeachers.com and then create Groups for Yoga Teachers in Australia, Canada and South Africa? One good reason would be the search engine preference for local county domains. 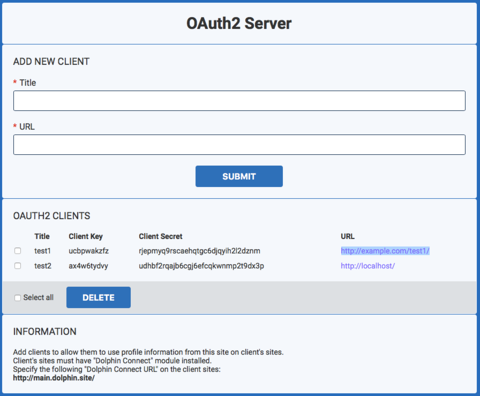 how can you install OAuth2 Server for me please?